We provide after school care for 5- to 12-year-olds. Here at Lil’ Rascals Academy, we know just how excited and rambunctious children can be after a full day of school. Because of this, our after school care focuses on providing a safe, productive, and fun environment for them. 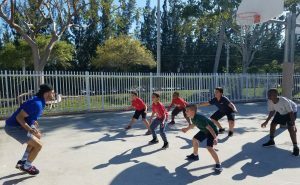 When you choose one of our locations — we have locations in Cooper City, Davie, Pembroke Pines, and Weston — for after school care, you’ll watch your child develop and grow in a fun, social environment. Visit us today for a free tour of our after school daycare. Why enroll your child in an after school program with Lil’ Rascals Academy? We provide transportation from school with our well-maintained fleet of buses, which includes daily transportation logs. Our teaching staff can help with homework assignments. We have large, fully equipped playgrounds where your child can burn off that extra energy outside during their after school program. When elementary schools are closed, we plan field trips to places like the Miami Seaquarium or Jungle Island. We offer free tours — so you can see for yourself if our after school program is right for your family. 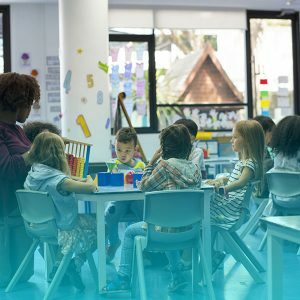 Our after school child care is geared at ensuring your children have a safe, productive, and fun environment to thrive in during afterschool hours. Lil’ Rascals operates a fleet of buses maintained well above industry standards, providing transportation from school. Parents can feel secure in knowing that transportation logs are done daily from pick-up to arrival. For those children who have homework, after school students will have an opportunity to complete their homework assignments guided by our teaching staff. After completion of homework, each child has a chance to break away from the regular routine of the school day. At Lil’ Rascals, your child will have the opportunity to share with friends, burn that extra energy outside on our large, fully equipped playgrounds. When elementary schools are closed the children will have the opportunity to go on many exciting field trips like Jungle Island, Miami Seaquarium, Lion Country Safari and much more. Come visit one of our locations in Davie, Cooper City, Pembroke Pines or Weston to learn more about our after school programs.